Bioshock is one of the few games coming out lately which impresses many gamers with a strong story beside nice graphics. 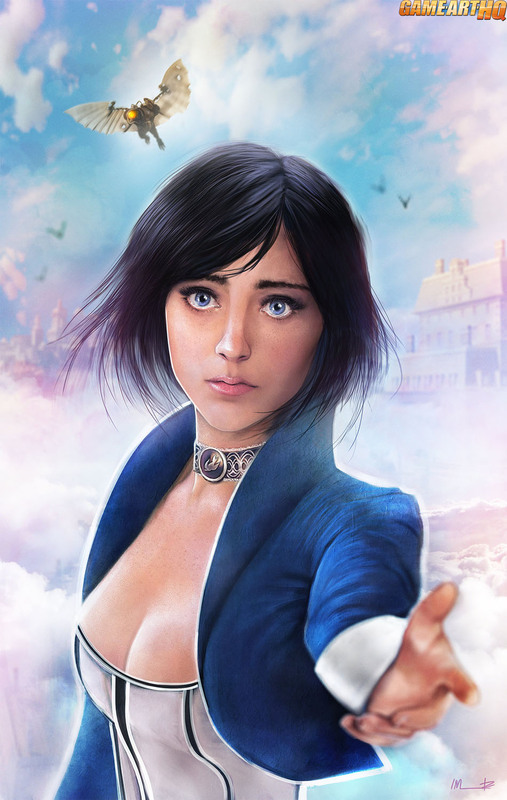 In the game the player is accompanied by Elizabeth and while it is the player (Booker DeWit) who rescues her at the begin of the game from a kind of a cage, its often more like Elizabeth is taking him and the player on a journey of the alternate reality in Bioshock Infinite. This detailed illustration of Elizabeth was created by Isabella Morawetz from Australia. I might be wrong but think this was her first video game related fan art and i hope it won’t be her last one.